As much as I love experimenting with exciting flavors for the New Year, I also loving making tried and true classics like a cinnamon-and-honey-laced challah. 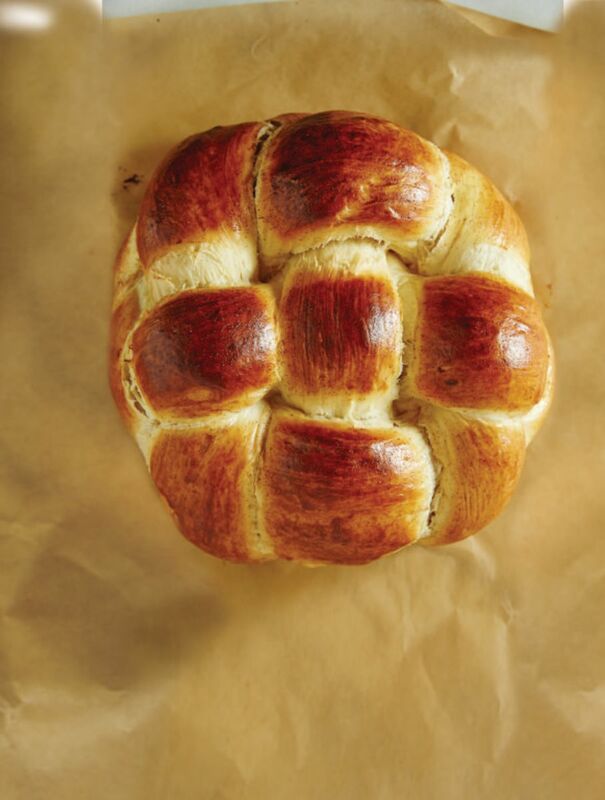 The exciting part about this challah is actually its basket-weave design. 2. In a large bowl or stand mixer fitted with whisk attachment, mix together 1½ cups flour, salt, cinnamon, and sugar. After the water-yeast mixture has become foamy, add to flour mixture along with oil and honey. Mix thoroughly. 4. Add another cup of flour and then remove from bowl and place on a floured surface. Knead remaining flour into dough, continuing to knead for around 10 minutes (or however long your hands will last). 7. Using a dough cutter or sharp knife, split dough into 6 even portions. 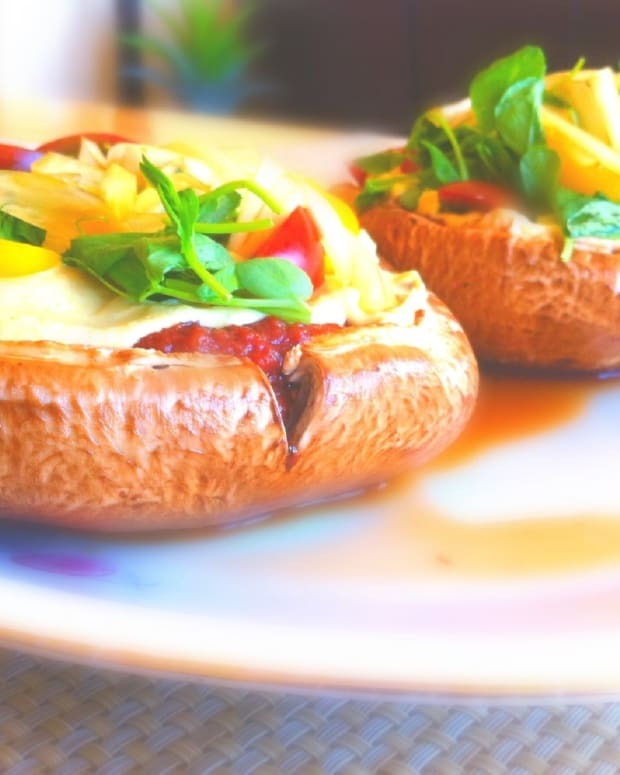 You can use a food scale to be the most precise. Roll out each portion into a strand around 10-12 inches long each. 8. Lay three strands vertically. Take one of the remaining strands of dough and place horizontally over the first vertical strand, under the second vertical strand and back over the third vertical strand. 9. Take the next remaining strand and do the exact opposite, placing it under the first vertical strand, over the second vertical strand and back under the third vertical strand. Using the last remaining strand, repeat over and under the vertical strands. The strands should make a tight basket weave in the middle with ends remaining on four sides. 10. On the first side, make a traditional braid using the three strands and pinch at the bottom. 11. On the second side, make a braid using an under motion and pinch at the bottom. 12. On the third side repeat a traditional braid and pinch at the bottom. 13. On the fourth side make another braid using an under motion and pinch at the bottom. 14. Fold each braid under the basket, gently pushing upwards as you tuck under. 15. 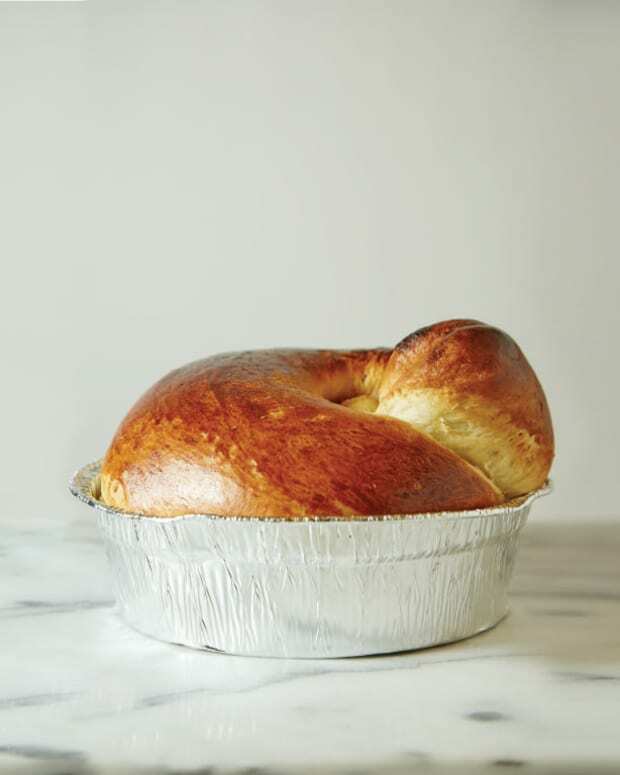 Place round challah on a baking sheet lined with a silpat or parchment paper and allow to rise another 30-60 minutes. 16. Beat egg yolks with 1 teaspoon water. Brush liberally over challah. Mix sugar and cinnamon and sprinkle evenly on top. 17. Bake for 26-28 minutes, or until middle looks like it has just set and the color is golden.